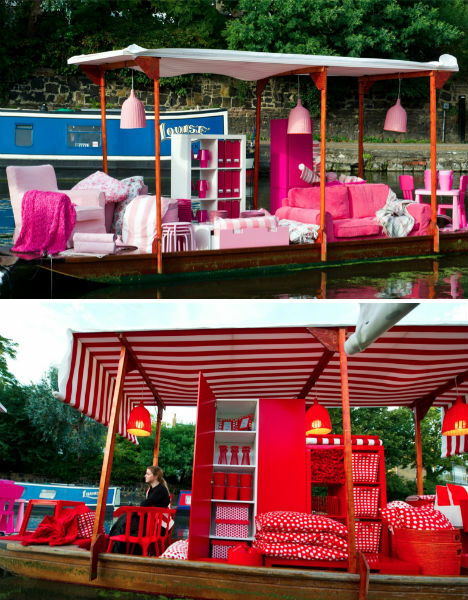 Inspired by the floating night markets of Asia, IKEA launched its new collection of home furnishings in the Regent Canal during London Design Week. 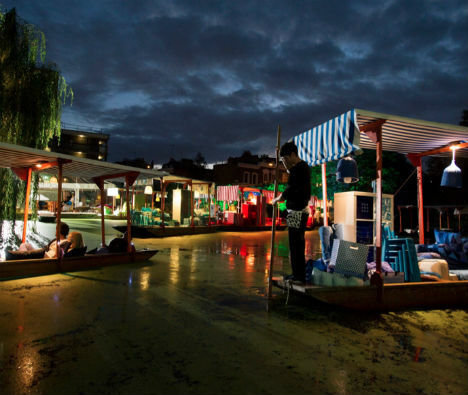 For one night only, visitors boarded small boats at dusk to get an exclusive glimpse at a range of new furniture, organized by color on narrow floating platforms. 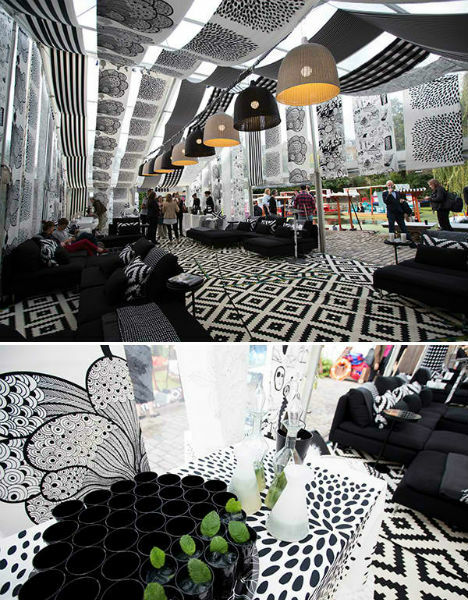 Entering through a black-and-white tent made of IKEA textiles, visitors were first served cocktails and then ushered onto boats to view each individual display. The Swedish retailer’s signature modern furniture was arranged on each miniature barge, heaped with textiles in shades of green, blue, purple, yellow and red. 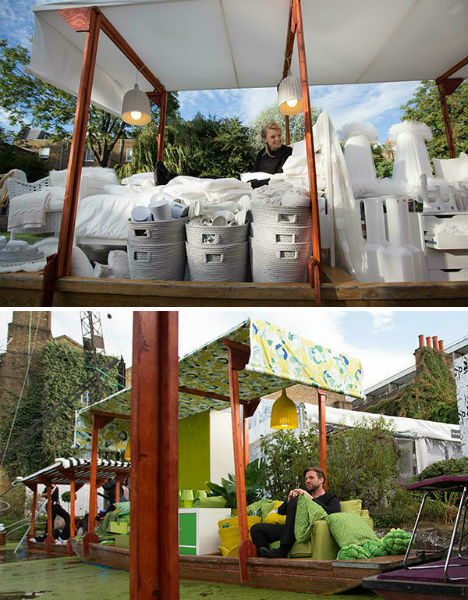 IKEA brand ambassadors perched on each one supplied guests with information about the collection. Some even served food. More photos from the visitor’s point of view are available at NOTCOT.org and IKEA UK’s Facebook.